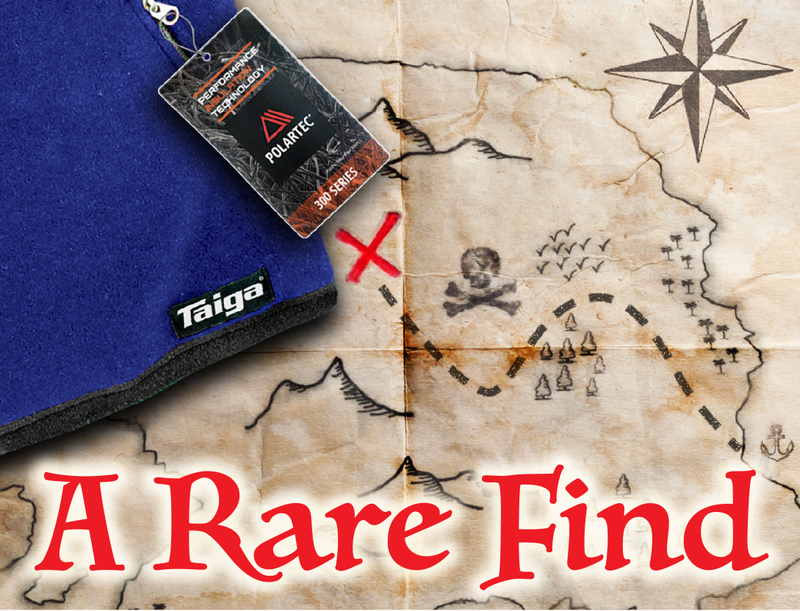 You can search far and wide, without finding anything comparable to our Polartec® 300 Fleece Jackets. Most fleece available today is of the cheap asian made variety – thin, flat, and with poor stretchability – failed attempts at copying the incomparable original Polartec®. The only genuine Polartec® fleece around seems to be the 200-weight, which hardly compares to our luxurious, plush, and cozy-warm Polartec® 300 Velour Fleece! 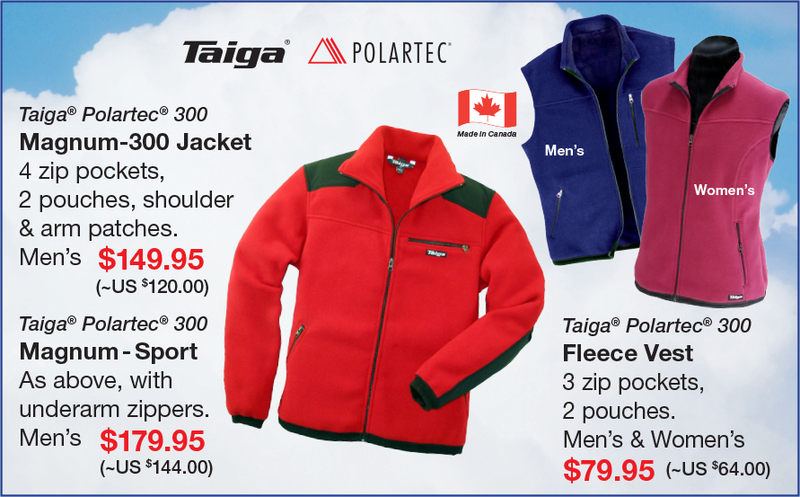 Taiga® Polartec® 300 Fleece Jackets are IDEAL for fall, winter and spring. Like all Taiga® products, they are designed and made in Vancouver/Canada, and sold manufacturer-direct! Best of all, you don't need a pirate map to locate these rare finds. Just click here to see all our Fleece-300 garments. With its shaggy appearance this sweater isn't exactly a top contender in a beauty contest of the fleeces, but it sure beats all the rest in warmth-to-weight performance! 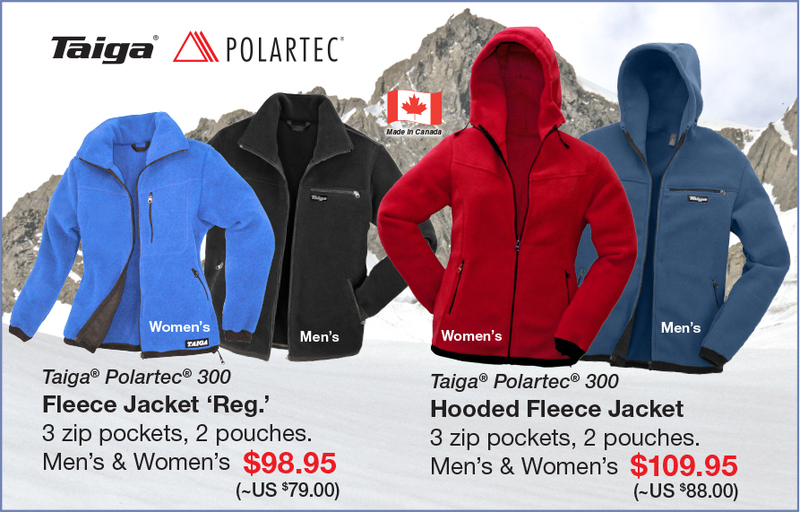 Also check out our wide selection of Polartec® 200 & Microfleece clothing. And don’t overlook our water-repellent, fleece-lined ‘Soft Shells’.